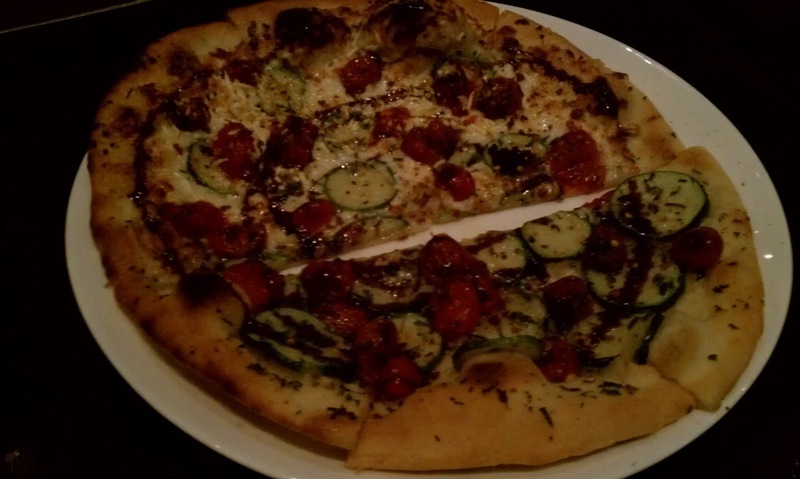 sable kitchen & bar immediately stood out as we watched chef heather terhune on the show. so i decided to make it our first stop on "halley's 2012 chicago top chef restaurant tour" (official name pending). 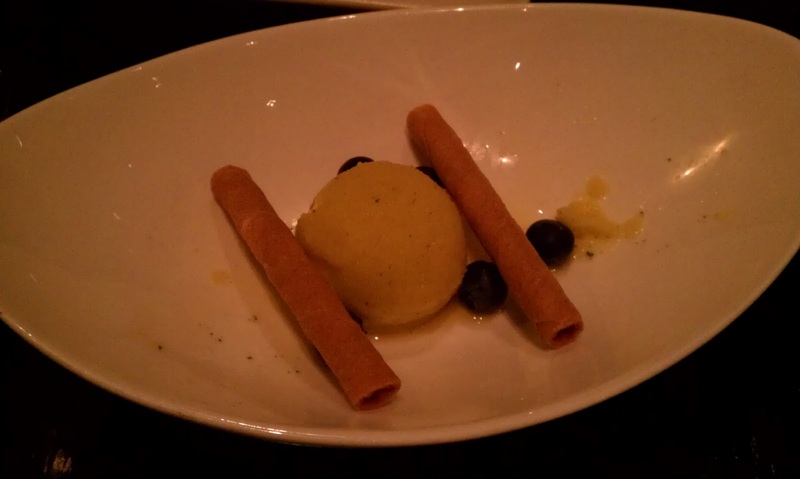 "sable kitchen & bar knows that everyone has different tastes and dining preferences. in order to accommodate every restaurant guest, we are glad to offer vegan and vegetarian dishes in addition to our new american menus." we started off with the warm marinated cerignola olives... super delish. 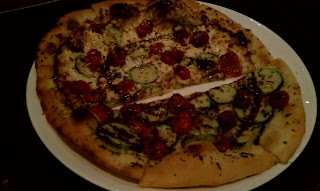 roasted baby tomatoes and zucchini and a balsamic glaze on my half. my favorite dish we had. i may have forgotten to take a photo before digging in. 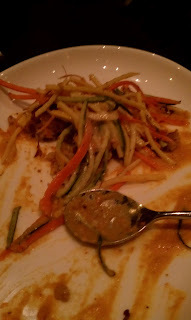 it was also very tasty... long shreds of zucchini and carrot shreds, a curry coconut milk sauce and some peanut bits. lemon & thyme. incredibly flavorful. chef terhune brought our dessert out to us! she was super friendly and asked if we enjoyed everything. basically, it was awesome. it's that excitement that caused us (me) to snarf down the sorbet. sable is my kind of restaurant... i love to get a little bit of everything with my meals, so a variety of small plates is perfect. we are definitely looking forward to a future visit there! apologies for the lack of untouched plate photos... hey, i'm new to this!